Roy E. Fredrickson, age 79 of McGregor died Thursday, March 28, 2019 at Essentia Health St. Mary’s Hospital in Duluth, Minnesota. Roy was born November 7, 1939 at Aitkin, Minnesota the son of Charles and Beda (Johnson) Fredrickson. 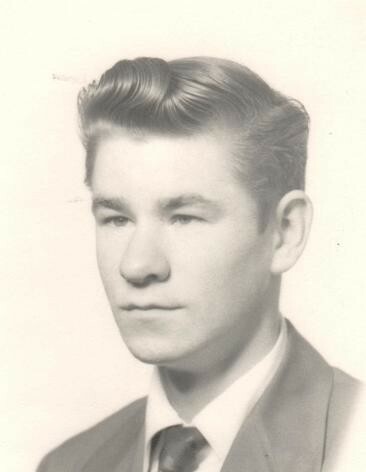 He grew up and attended schools in McGregor graduating from the McGregor High School in 1957. He then went to Duluth and worked on the docks for a time. He then worked with his brother in law operating a gas station in Garrison, Mn. He started to log and worked as a logger most of his life. He married Katherine M. Joriman on August 17, 1974 at home in McGregor Township. He and Kathy have lived here since. He loved to tinker with things and fix things. He was an amazing mechanic. In his younger days he bowled. He loved spending time with his grandchildren and family. Roy is survived by his wife Kathy Fredrickson of McGregor, Children: Coralie (Darrel) Fredrickson of McGregor, Erica (Nolan) Gould of Jacobson; Dear Friend: Brett Sample of McGregor; Grandchildren: Derek (Tori) Fredrickson, McGregor, Devin (Danelle) Fredrickson of McGregor, Amanda (Thomas) Troup of Port Orchard, Washington, Wynnona Fredrickson (Christopher Pierce) of Tamarack, Erilan Gould of Jacobson, Geoffrey Fredrickson and Lindsay Fredrickson both of Iowa, 10 Great Grandchildren and numerous nieces and nephews. He was preceded in death by his parents, 2 sons: Michael and Norman, 2 sisters and 4 brothers.